Actually this is not only about when you made an object that people won’t take the hover script. 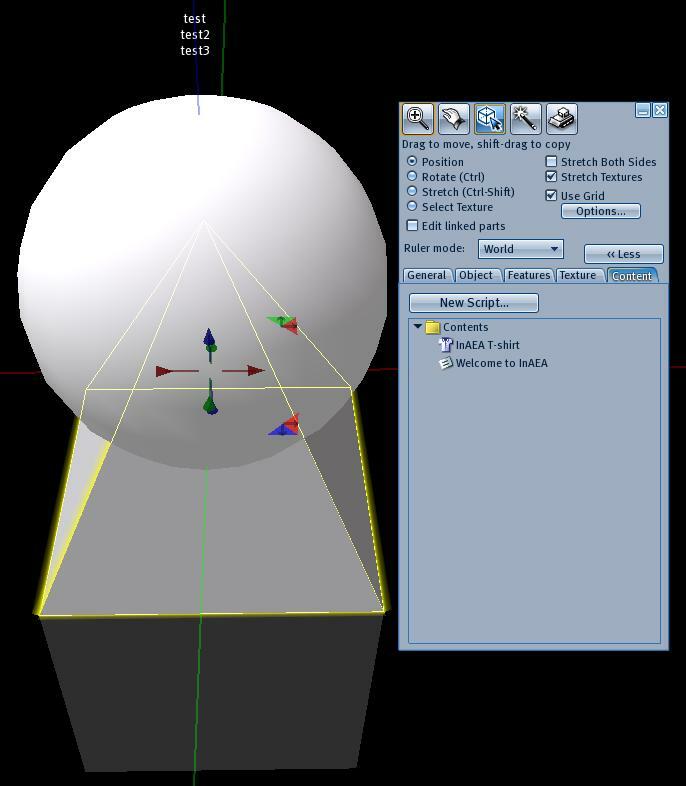 This article is more about how get control of your objects and scripts. 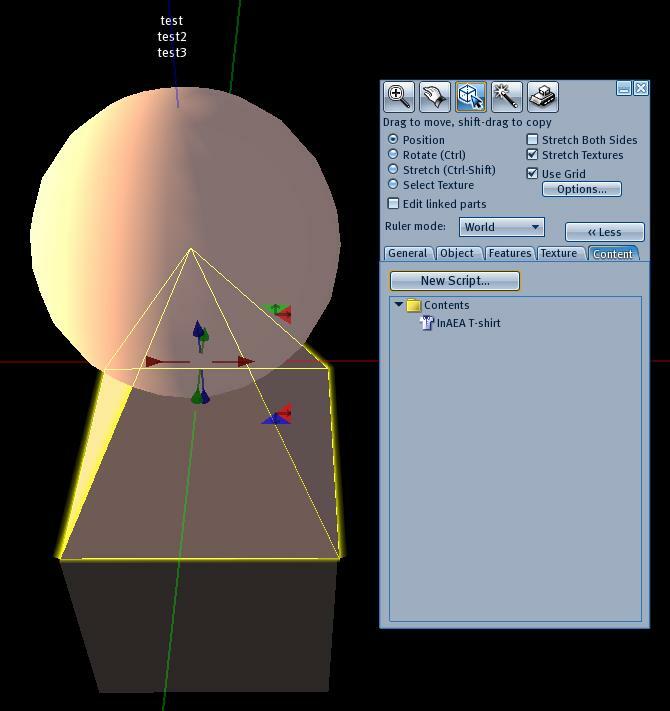 When we build an object contain more than 1 prims and more than one script, the sequence of choose those prims and which object contain what script influence what people will get from the object. 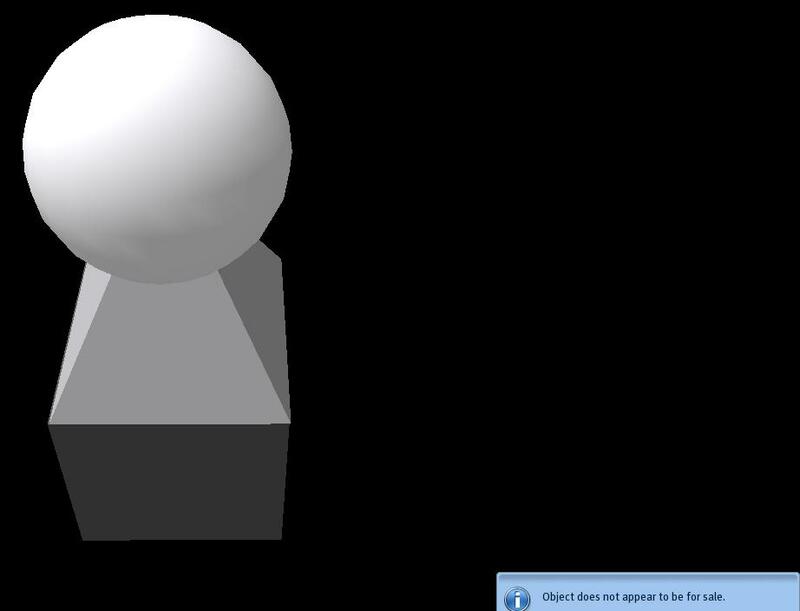 Ex 1: When I have 3 objects, and 3 contains (1 hover script, one note, and one clothes), and I put them in each object. Because I want to give people the clothes and the notecard, therefore, for pyramid and cube, under the general tab I choose for sale L$ 0, and only for the contents. Also I select when left-clicked it will buy object. 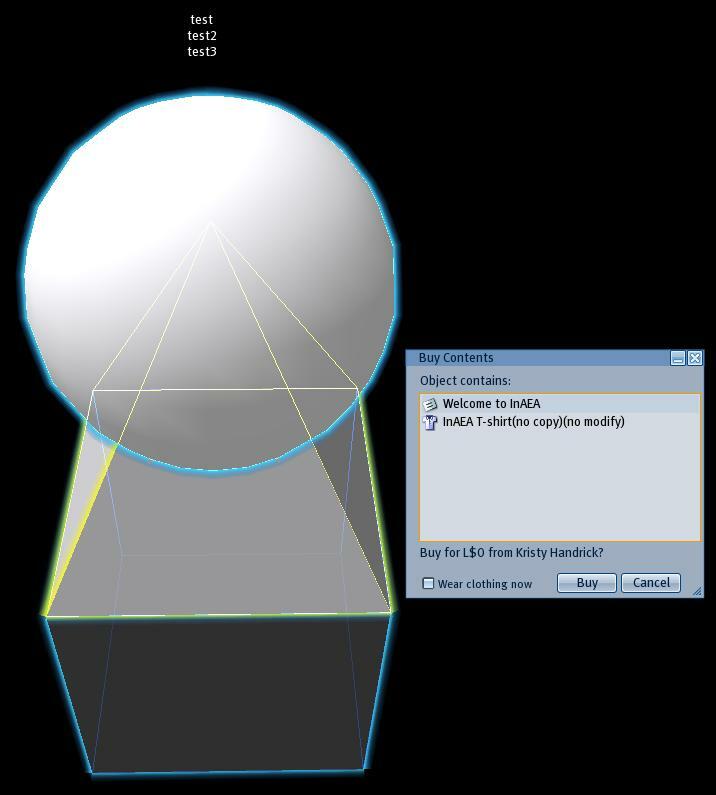 And, I select (Shift+mouse left click) these 3 object sequence as cube, pyramid, and sphere. 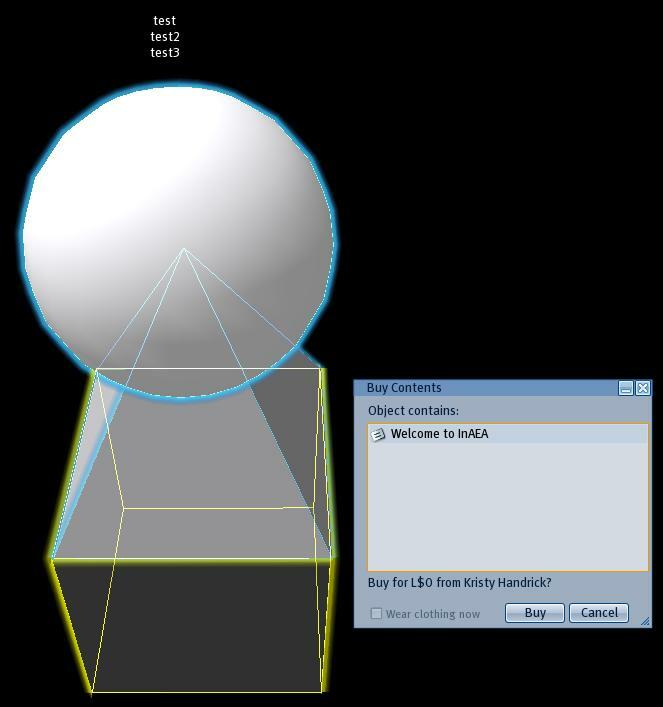 After I link (Ctrl+L) those objects, only the sphere has a yellow outline, and the cube and pyramid have blue outline. Even though when you hover your mouse on the object you can see the money sign, but when you click it, it will show that you can not buy this object. 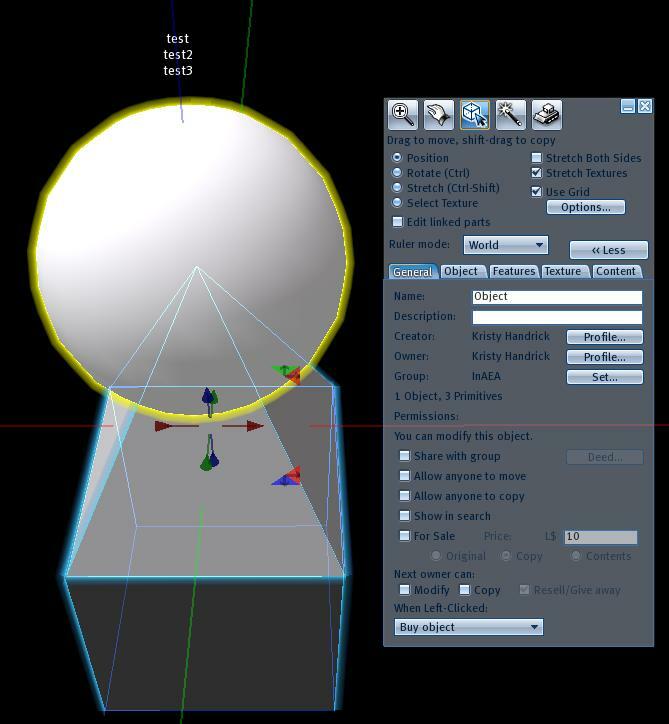 It is to say, the yellow outline prim is the only one the script is really activated. 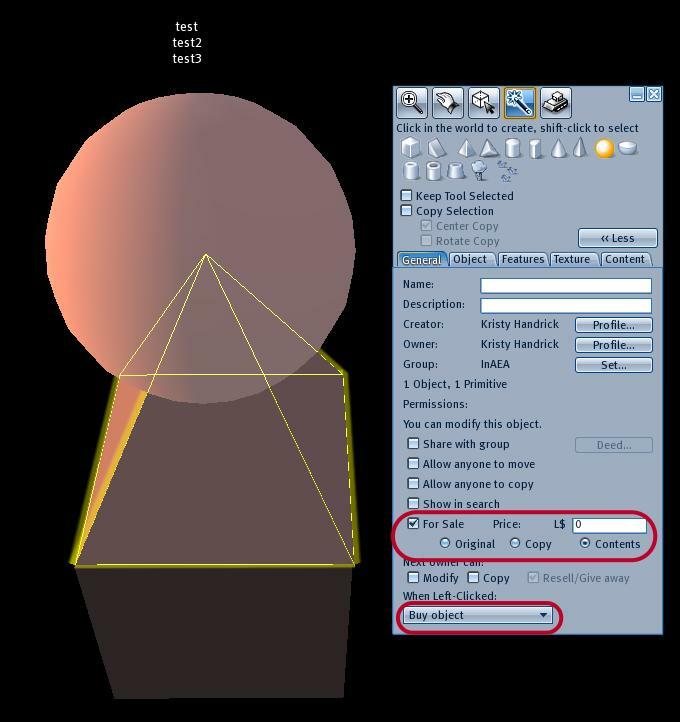 Ex 2: If I unlink (Ctrl+Shift+L) these objects, and link them sequence as sphere, pyramid, and cube. We will see the cube has the yellow outline. Now, when we left click on the object, we can get the note card (But no clothes). Ex 3: If we put 3 contains all in one prim (pyramid), and link them sequence as cube, sphere, and pyramid. And when we click on the object, we will get all of them (With the hover text). 1. you need to have at least 2 prims. 2. put all contains you want to give in one prim, and put others in another. 3.Don’t forget to select the buy object function under general tab! 4. 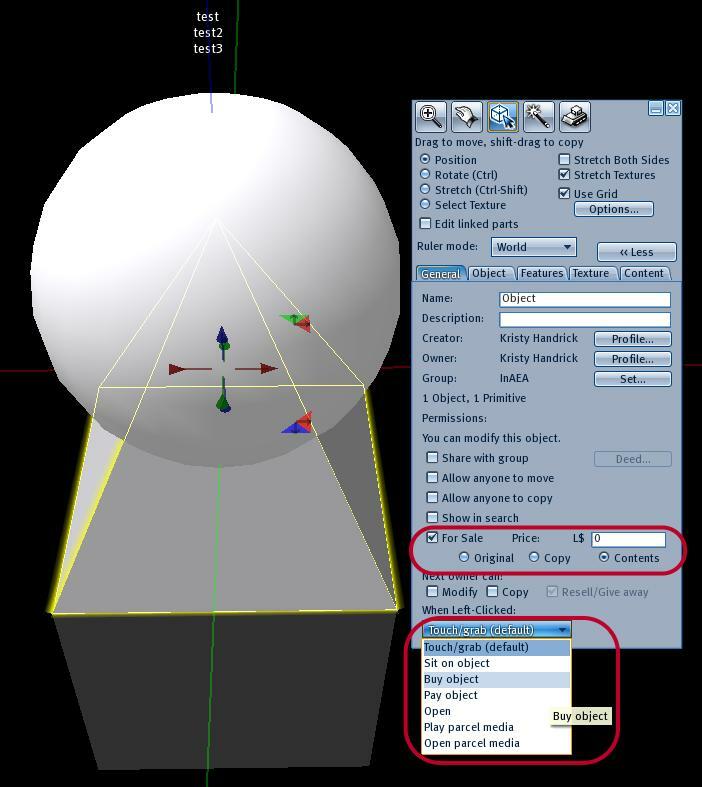 Select all other prims (Shift+mouse left click), and finally select the prim that contain what you want to give. 6. Close the build window, and test it! Note: Please do not use “edit linked parts” when you are trying this! All contains will only store in the yellow outline prim (last selected) only.